Are there Side Effects or Dental Implant Risks? Dental implants are a permanent solution to resolve tooth loss. This widely popular form of tooth replacement involves a surgical procedure to implant titanium posts into the jawbone. These posts serve as the tooth root, which uses an attached abutment to hold a prosthetic tooth in place. Although the benefits of the procedure are well known, many remain hesitant to undergo the procedure due to certain risks involved. Any surgical procedure carries risks of complications, but rest assured, the dental implant procedure is safe and effective. In fact, the success rate of dental implants is well over 90 percent. Nonetheless, we understand you may still have concerns about dental implant risks, which is why we are here to put your worries at ease. Implant procedures have the highest success rate when there is less than 1 mm of bone loss within the first year and less than .2mm after the second year. However, for patients with bone loss, the success rate of dental implants can be roughly 80 percent. If you’re suffering from bone loss, you can undergo bone grafting to increase bone density. As a result, you’ll increase the success rate of the procedure due to adequate bone support. Another potential complication with implants is peri-implantitis, which can be found in about 10 percent of patients with immediate implant placement and roughly 20 percent after eight years. As a result, nearly 1.2 million implants will require treatment for the condition. However, since the complication is caused from infection that results in inflammation in surrounding gum and bone, the solution to preventing the condition is simple. With the proper home care and regular checkups to your dentist, you’ll greatly reduce the potential development of an infection after implant placement. Most often, the complications caused from the procedure are relatively simple and will either occur early after placement or late after. 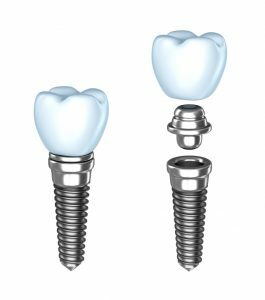 An early complication is considered to occur prior to the bone fusing to the implant, while a late complication usually occurs after the implant has been placed. Often, this is due to a biologic or mechanical complication of the implant itself. Both early and late stage complications can easily be avoided by choosing an implant dentist that is certified and specializes in the procedure. With a qualified dentist by your side, you’ll reduce the potential for any damage to surrounding structures, risk for infection, and lack of stability needed to support the implant. With healthy gums and adequate bone dentistry prior to undergoing the procedure, you’ll join the 90 percent of patients who have a successful implant procedure. To ensure your implants last a lifetime, you will need to follow the proper home care and regular visits to the dentist. While the thought of potential complications can seem a bit scary, the potential for implant failure is less than 10 percent. With a reputable and skilled implant dentist by your side, like those at Complete Dental Care, you can rest assured you’ll experience little to no complications of the procedure. If you’re interested in learning more about dental implants, please contact our office at (781) 808-3032. Comments Off on Are there Side Effects or Dental Implant Risks?